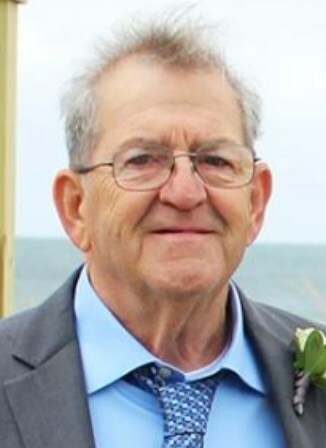 Paul S. Bean, Sr., 76, of Pennymeadow Walk died unexpectedly June 27, 2018 at Southern Maine Health Care in Sanford after a brief period of failing health. He was born in North Conway, NH on February 11, 1942, son of Robert and Barbara (Downs) Bean and graduated Dover, NH High School. For a few years, Paul worked for Tiara Shoe in Dover, NH while raising his children in South Berwick, ME with his wife, Gail (Mayo) Bean. After relocating to North Berwick, Paul worked his way up in Hussey Seating Company, retiring as an Assistant Supervisor in the Chair Shop. He and Gail loved camping and purchased a motor home. They traveled cross country, spending some extensive time in both Arizona and then wintering in Florida. He loved canoe trips in the various camping spots. He enjoyed organizing and playing in cribbage tournaments at the Wells Trailblazers. Paul’s greatest joy was his time spent with his sons and grandkids. Family was the center of his life. He was pre-deceased by his parents and brother, John Bean. Surviving are his wife of 57 years, Gail (Mayo) Bean of Wells; 4 sons, Paul Jr., and his wife Wilma of Wells, Michael Bean and his wife Cathy of Rochester, NH, Robert Bean and his companion Kathy Rice of North Berwick, Gary Bean and his wife Bobbi-Jo of Parsonsfield, ME; brother, Sidney Bean and his wife Margaret of Farmington, NH; sister, Joann Wotton and her husband Ed of Hartselle, AL; 13 grandchildren and 13 great-grandchildren, as well as many nieces and nephews.